Here is a poorly-kept secret: I’m not a very tall man. 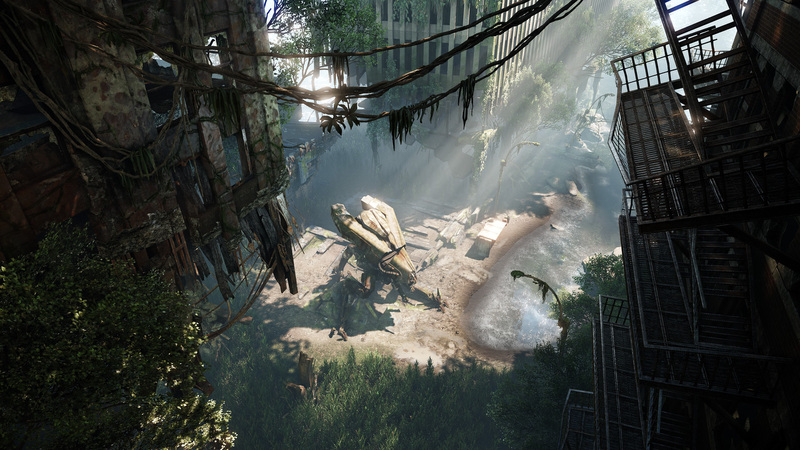 Here is another one: Crysis 3 is happening. Even before evidence turned up last week, a fourth nanosuited adventure seemed something of a given, but it’s taken the EA-Crytek announcengine this long to formally confirm the next game. I’ve just played Press Release Bingo and I’ve got a “stunning”, a “state of the art”, an “unparalleled visuals”, an “ultimate”, a “leveraging the latest technology” and enough pre-order unlocks to kill a small horse. “Players take on the role of ‘Prophet’ as he returns to New York, only to discover that the city has been encased in a Nanodome created by the corrupt Cell Corporation. 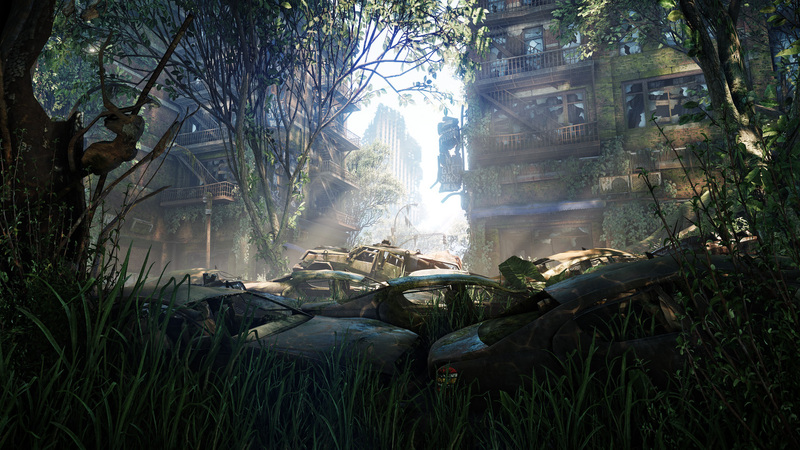 The New York City Liberty Dome is a veritable urban rainforest teeming with overgrown trees, dense swamplands and raging rivers. Within the Liberty Dome, seven distinct and treacherous environments become known as the Seven Wonders. This dangerous new world demands advanced weapons and tactics. Prophet will utilize a lethal composite bow, an enhanced Nanosuit and devastating alien tech to become the deadliest hunter on the planet. 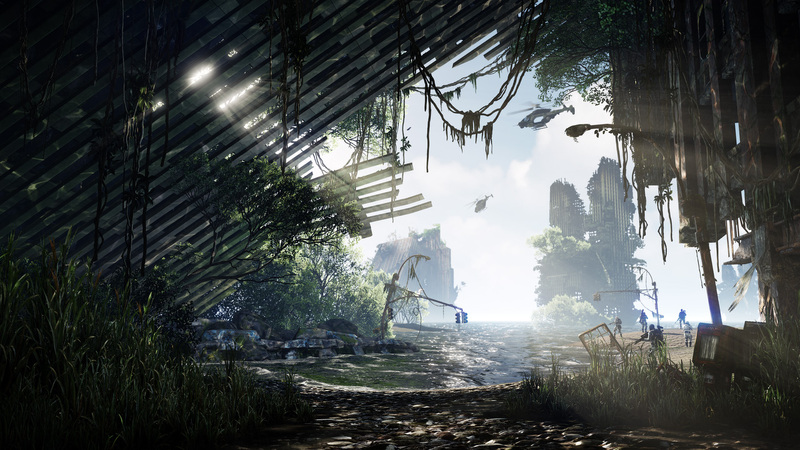 The idea of city that’s turning back to nature, a la The World Without Us, makes for an appealing setting, and is potentially a canny plot device by which Crysis could return to its more forested, exploratory roots without having to abandon its latter-day gritty urban sci-fi saga thing. Apparently these aforementioned ‘Seven Wonders’ offer seven very different settings to adventure through too. Giant dome? Themed environments? Bald guy? That sounds like the Crystal Maze to me – I do hope someone’s notified Channel 4’s lawyers. Exactly like Crysis, I’m sure you’ll agree. — Stalker Pack — Includes the base game, all Hunter Edition content and the following early multiplayer unlocks: for players who like to stalk their prey from the shadows the Stalker Pack provides early multiplayer access to the deadly semi-auto Jackal shotgun. This powerful, close-range shotgun comes with a unique silencer attachment, custom weapon skin and two exclusive themed in-game dog tags. — Overkill Pack — Includes the base game, all Hunter Edition content and the following early multiplayer unlocks: the Overkill Pack features early multiplayer access to the Typhoon assault weapon and skin. Spewing 500 rounds a second, the Typhoon gives players the ability to go guns blazing to take back the Liberty Dome. Also included are two exclusive Overkill themed in-game dog tags. — Predator Pack — Includes the base game, all the Hunter Edition content and the following early multiplayer unlocks: the Predator Pack delivers early multiplayer access to the Feline submachine gun and exclusive camo. With an extremely fast rate of fire and a 60 round magazine the Feline is highly effective and deadly, at short range. Anyway, forget about that moneygrubbing stuff and let’s all look at the pretty screenshots instead. Click for embiggening, please. So that’s Spring 2013 for that, on PC and the current generation of consoles (but not the Weeoooo). I think we can all agree that it was never the same once Dicky O’Brien left and they hired Ed Tudor-Pole instead. Fasterfasterfaster! 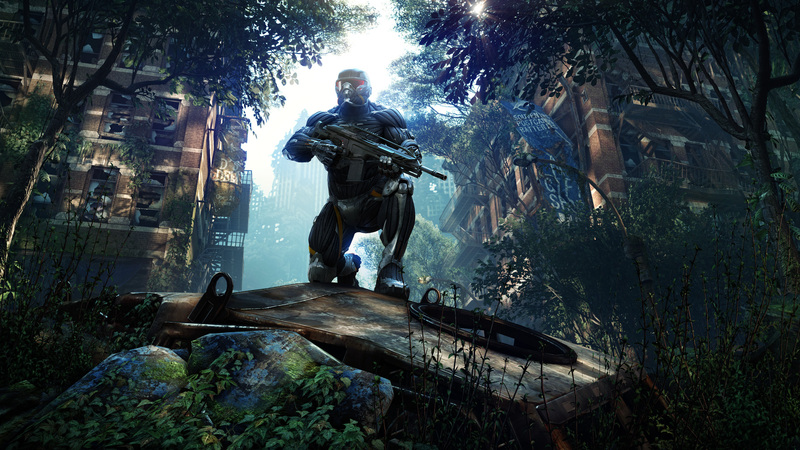 Tagged with Crysis, Crysis Warhead, Crytek, Electronic Arts, non-surprises, Crysis 2, Crysis 3.